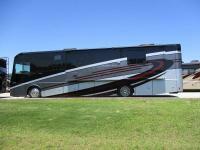 This Forza 36G class A diesel coach will have you envisioning where all your gear will go on your next trip. The private bedroom not only offers a walk-around queen bed unless you choose the king bed option, there is plenty of storage in the chest of drawers, wardrobe, and on the nightstands. In the main area you can dine and play games at the BenchMark dinette, the TrueComfort+ sofa and the recliner with a pull-out/flip-out table to place your cup of coffee or keys. 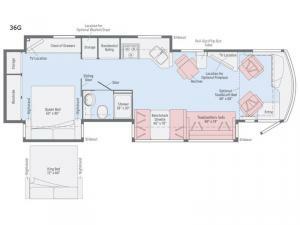 You have a TV in both the lounge area and the bedroom. You might like to add a third TV by choosing the optional exterior 32" HDTV and entertainment center. 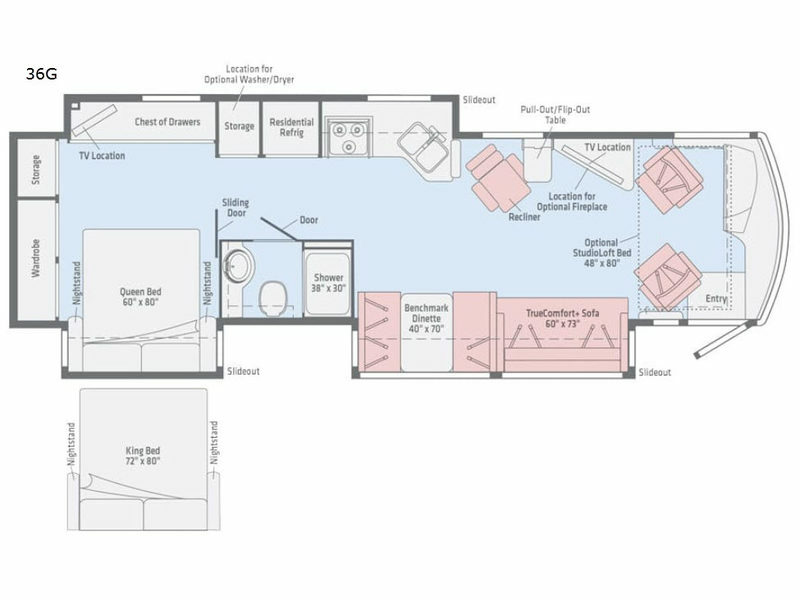 There is plenty more storage throughout, more features to see and want, plus options to choose from such as a washer/dryer, a StudioLoft bed over the cab, and more! Each Forza class A diesel coach by Winnebago offers a smooth ride to your favorite destinations, providing up to 228 cubic feet of exterior storage for your gear, and Corian galley countertops for the cook in the family. You will also love the look and feel of the Primera by Ultrafabics upholstered Versa swivel cab seat when riding down the road or visiting with others in the main living area. Your electronics can stay charged the whole time thanks to the USB chargers located in the cab, lounge, and bedroom. Come see which Forza floorplan will work for your diesel pusher lifestyle.